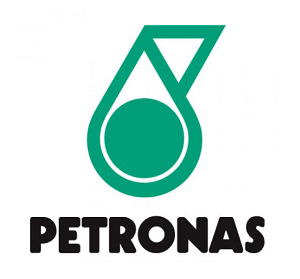 PETRONAS is one of the few national oil companies that has transformed itself into a leading oil and gas multinational of choice and ranked amongst the largest corporations in the world. The growing demand for energy inspires and strengthens our purpose to steadily drive for new solutions and push boundaries towards a sustainable energy future. PETRONAS Carigali Indonesia is currently holding participating interests in 8 blocks across Indonesia, with 5 of them already in production stage. PETRONAS has consistently and successfully implemented various social and community programs focusing on education & capacity building, environment & health, community wellbeing & development. Governed by its large Corporate Sustainability Framework, PETRONAS Carigali Indonesia implement programs that can sustainably benefit and empower the communities where we operate. 1. Bachelor degree with a minimum of 7 years relevant working experience in Oil & Gas industry is a must, except for Corporate Communications Officer, Sr. Budget & Reporting Officer and Sr. Operation Accountant. 2. Fresh graduates or candidates with experience may apply for Petrophysicist and Corporate Communications position. Please visit www.petronas.com/join-us/career-opportunities to see the detail requirement and apply the desired position. Simply click PETRONAS and register your account for new applicant or log in for registered applicant. Kindly submit your application by 21st of October 2018 at the latest. Only shortlisted applicants will be invited for interview. FRAUD WARNING!!! PETRONAS Carigali Indonesia will never ask applicant to pay a processing fee, ask for money or appoint any travel agent for the recruitment process. Thanks for reading Petronas Carigali Indonesia Jobs: 14 Positions. Please share...!